I have strict holiday rules. I mean, I’m not some Martha Stewart-esque holiday girl. But there are certain things that are just important to me. It’s not just at Christmas. Easter has its fair share of important things. Children in my house must be dressed up. Floral for girls, ties for boys, etc. And pictures will be taken. Many, many pictures; before church, so that nothing gets spilled or smeared on Easter finery. And they’d better not even think about taking off those Easter clothes until after any potential Easter egg hunts. And then there’s Good Friday. I’m very particular about Good Friday weather. I don’t appreciate sunny Good Fridays. No, Good Friday should be rainy, foggy or at the very least, cloudy. And people should wear black. All black, preferably. In all seriousness about Good Friday (not that I was joking before), I really do feel that there is an epic solemnness about this day that should be observed. I grew up in the Charismatic church culture, where Good Friday was kind of passed over as a dreary inconvenience. At least that was my impression as a child. Maybe I’m wrong and everybody LOVED it. I don’t know. But typically, all we did to “celebrate” was a prayer meeting over the lunch hour. And then, when I got immersed in the “revival culture” (if you don’t know what that is, you can message me and ask… or something), Friday night services were already the norm, so we pretty much did business as usual on Good Friday. And honestly, many churches don’t have any type of Good Friday gathering. And I just don’t get that. 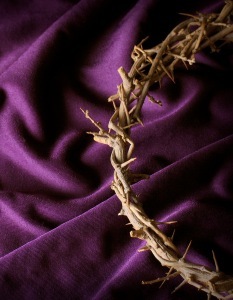 Good Friday is one of the most important days in the whole Christian calendar. I mean, we do realize that without Good Friday, there is no Easter, right? Without Good Friday, there’s no lily filled sanctuaries, no Sun-Rise Services, no chocolate bunnies, no egg hunts, no forgiveness of sins. Without Good Friday, our whole faith ship is sunk. So why don’t we celebrate it? It seems like it would be normal to embrace the wild wonder of a Life sacrificed, revel in the mournful awe of Holy death, embrace the momentary gloom that will be replaced with resurrection splendor. Is it really so inconvenient to halt our normal routine and reflect on the fact that Jesus died so that we can live? So I’m so excited (in a calm and mournful way, of course) for Destiny Church’s Good Friday Vigil. We’re going to have a candle-light gathering in our living room, where we’ll sing about the beautiful cross, meditate on Jesus’ great sacrifice, share Communion and embrace the deep darkness that preceded the light. And yes, a couple of kids will probably have a jumping contest in the playroom immediately above our vigil or wander through making car noises. But you know? I don’t care. I’m going to fully delight in Good Friday. You can count on it. We had a wonderful Easter! Our church had a massive egg hunt with about 700 eggs hidden around the building. Our kids loved it! Of course we expected Isaiah to be excited, but were surprised to watch Leah go after those eggs as well! Click here to watch a video Chris took of them!